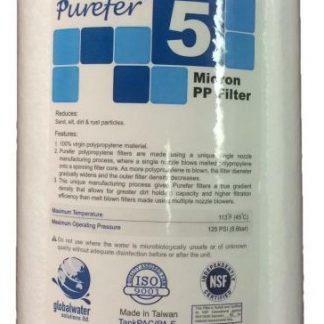 Specifically for gravity flow or low pressure situations where there is a hint of tannin or taste issues in the water, but you can’t use a standard carbon cartridge. Pleated cartridges mean longer life. 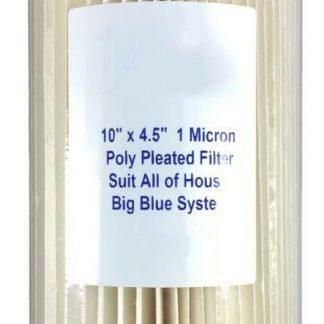 BB Poly Spun NSF Sediment Filter 5micron 10" x 4.5" BB Pleated Sediment Filter 1micron 20" x 2.5"